California’s E&J Gallo Winery has acquired the multi-regional wine brand Locations, founded by Dave Phinney, who will continue in his role as winemaker. 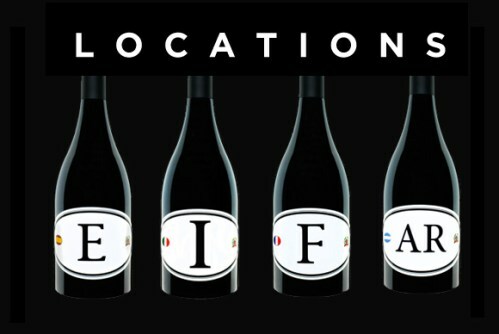 The Locations brand was previously owned by Shooting Gallery Wines, LLC – a joint venture between winemaker Dave Phinney and importer Aveníu Brands – which itself if a wholly-owned subsidiary of the Barcelona, Spain-based Codorníu Raventós Group. The Locations concept came about following a visit by Phinney in 2008 to the Maury appellation in the South of France, where he hit upon the idea of producing a range of wines that paid homage to their place of origin, taking in multiple regions throughout the world. Today, Locations includes wines made by Phinney in partnership with growers throughout France, Spain, Italy, Argentina, California, New Zealand, Oregon, Washington, Portugal, Corsica, and Texas. This isn’t the first Phinney-founded wine brand to be bought by E.&J Gallo. In 2016, the producers bought Napa’s Orin Swift Cellars, which wasfounded by Phinney in 1998 and is known for its wines’ distinctive, abstract labels. “I’m excited to continue building upon the momentum of the Locations vision by creating simple, complex and fun wines by removing the constraints of vintage, varietal and appellation to make the best possible wine from a given country or location,” said Phinney. Roger Nabedian, senior vice president and general manager of Gallo’s premium wine division, praised Phinney for his ability to propel innovation to the highest levels by “challenging the conventional way of doing things, and removing the barrier of rules in winemaking”. This most recent acquisition includes the Locations brand and related inventory, with the sale expected to close on Friday, 29 June.